Responsible for providing administrative support for executives, primarily performing advanced, complex, diverse and confidential administrative support duties and secondarily performing secretarial support duties. Works independently. 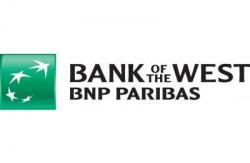 Requires thorough knowledge of unit practices, policies, programs, business and organization of Bank of the West (the Bank). Must demonstrate tact, diplomacy, discretion, independent judgment and initiative on assignments and communications of a highly sensitive nature. May handle personal business matters for senior executives to allow the senior executives to concentrate their efforts on managing of the Bank's business. May direct the work of other support personnel. Handles the day-to-day administrative duties, monitors deadlines and follows up on pending matters. Interacts continuously with various Bank executives to resolve highly complex issues. Inputs and retrieves data utilizing knowledge of various computer software packages. Types correspondence, reports, memoranda, special projects, technical papers and related materials for unit staff. Formats documents and determines page layout and selection of different fonts. Initiates and independently researches complex information requests, compiles statistics, gathers, analyzes and summarizes data for projects and reports, prepares the materials and determines method of presentation. Receives and screens telephone calls, mail and visitors. Routes callers, takes messages and answers questions relating to the unit’s function. May interact with Bank clients to schedule appointments, answer questions and resolve highly complex issues. May act as information source for the unit. Composes letters and memoranda from verbal direction or knowledge of Bank’s policies, procedures and functions. Initiates responses to correspondence for senior executive or own signature. Prepares and processes unit purchase requisitions and vendor invoices. Organizes and maintains files, correspondence, records and other documents. Furnishes and obtains information from other senior officers or outside clients and/or contacts. Processes and maintains information of a highly complex and confidential nature dealing with issues of substantial importance to the Bank.